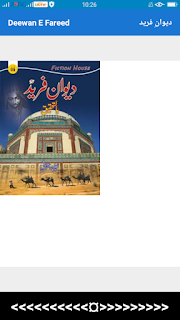 Deewan e Fareed is famous poetry book of Khawaja Ghulam Fareed(1845-1901). He is greater poet of his era. He wrote many books of poetry. 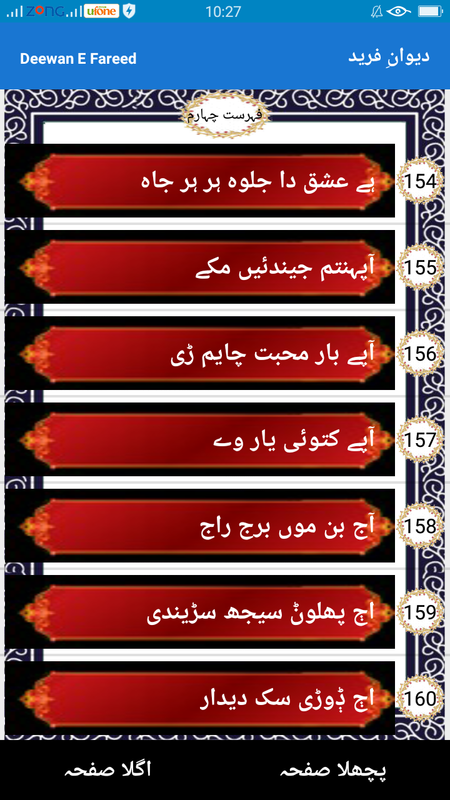 But all of them, Deewan e fareed got more popularity. 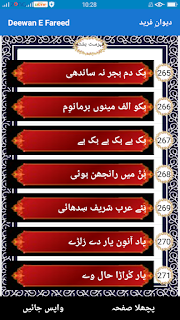 Two deewans are availabe, Saraiki Deewan is most popular than other deewan. 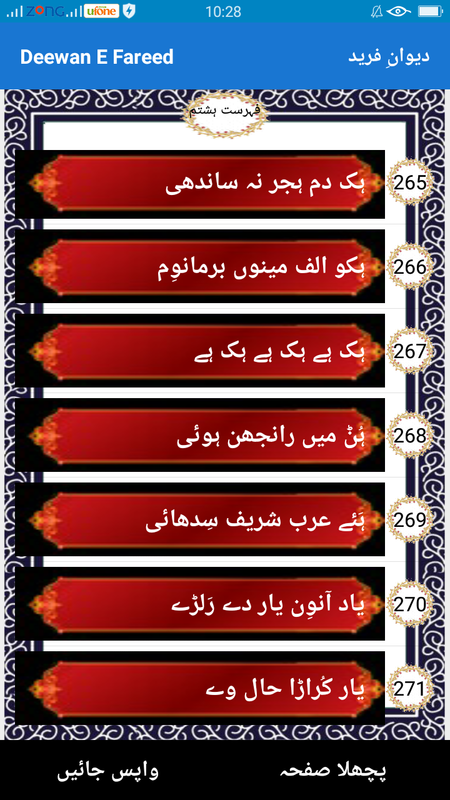 Today I am providing Android app of this deewan. It is compete book of searcher and expert of Fareedyat Mujahid Jatoi. 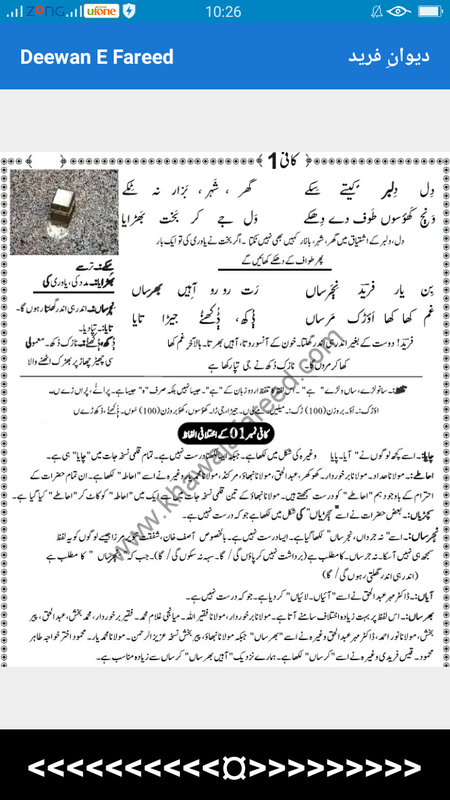 Find in this, Comlete Kalam (poetry) with new research. Only not you read compete and choses Kafies but also which is explain of virus themes of poet, meaning of words and following facilities. * Explain of Deewan E Fareed's content. Look in video, how to work this app? Note: I am not able to upload on Google playstore because of file size. Google plauSote allows less then 200 mb. Therefore I uploaded on other file hosting website. Please permission if required. Watch video to know, how to download. 2: Fill the email box with your Email. 4: Go to your email inbox and click on download link. 5: Click on download for download. Today I am introducing my new App that is recently created by me. 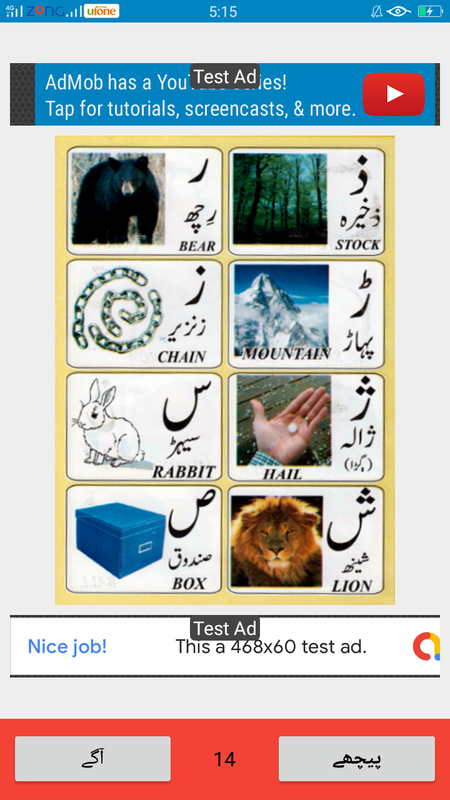 It is created On Saraiki Alphabet in Saraiki Language Script. 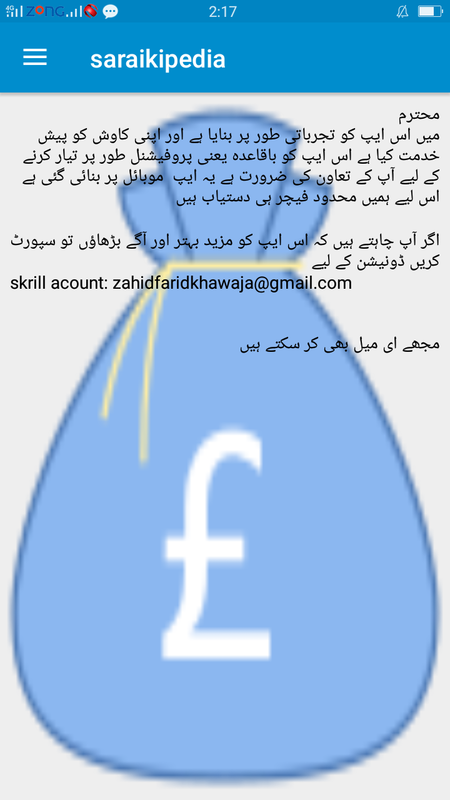 You can learn and speak in Saraiki Language Script. Please. I am adding also audio in next few days. 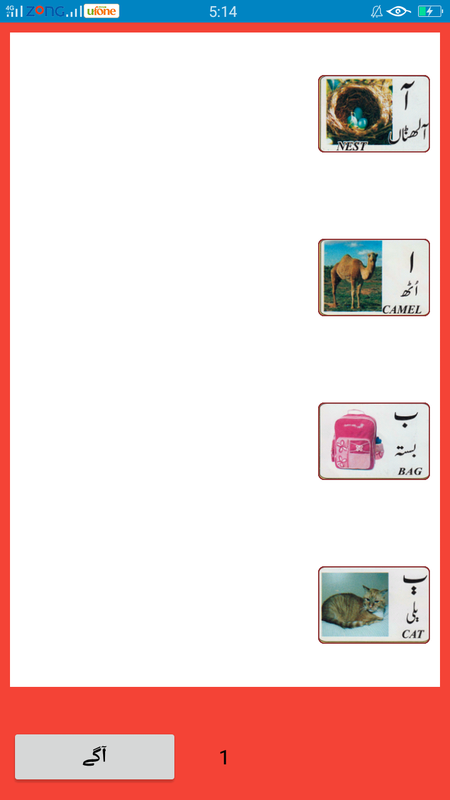 It is difficult to speak Saraiki Alphabits. But you can learn of more practice. 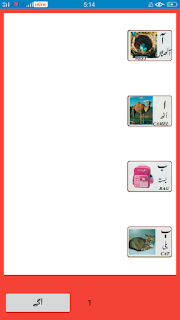 Last weak, I create an other App about Saraiki Language but it is most important to recognise Alphabits of Saraiki. 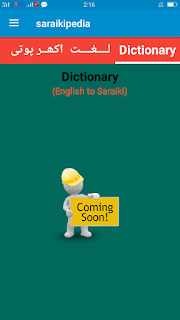 It helps you to take first step to learn Saraiki Language. Click on blew link and install it. I am so glad to tell you about that I created a Dictionary App. In which App, I add three languages in three Tabs. 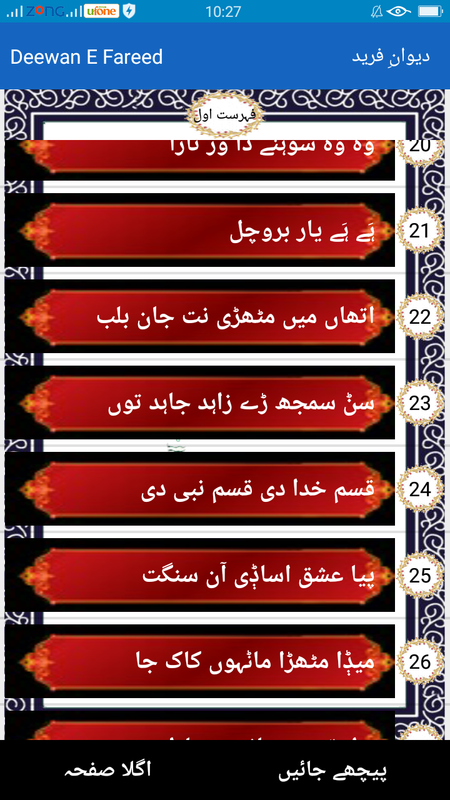 1: Englih, 2: Saraiki and number three is Urdu. 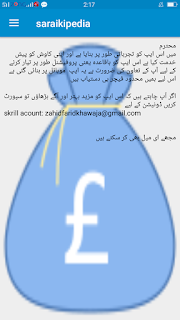 English is an international, Urdu is my national and Saraiki is my mother language. 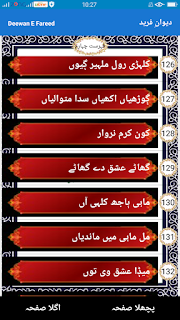 You can search meanings of words at mainoage. In 2nd page, Words are listed. 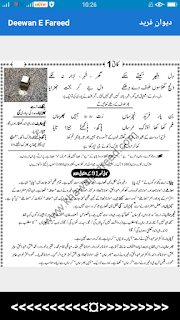 I add someothere features relevant of lactures of Saraiki. Some problems are present in App. 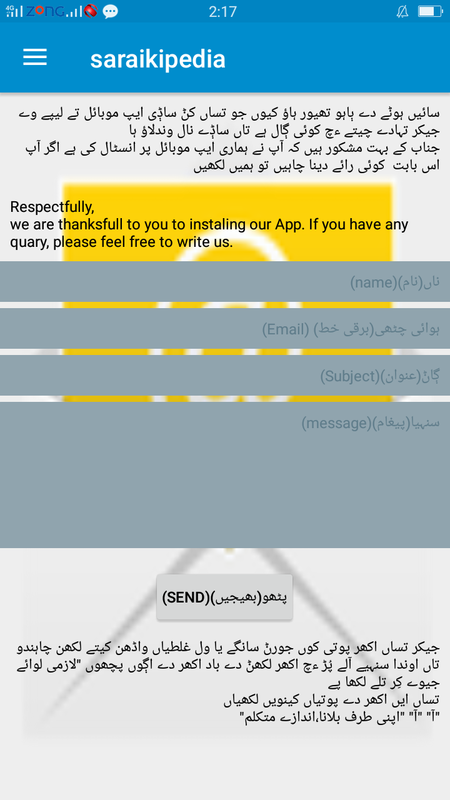 That's are not user.permition.netword coded add and not work share button. I created this App on sketchware and asigned. This app use to pick data from internet database firebase. When you use, you need to inable your internet conection. This App will update regularly. When database will update, you can view on App. If you like this App,please support and donate me. Saraiki has a rich culture. Many traditional things have become cultural things. 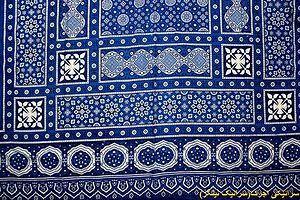 After Patca, (it is folk head wear) No more is popular as a folk symbol Than Saraiki Ajrak. Saraiki Ajrak is also called Saraiki Chader or Saraiki Sajrak. The word Sajrak, is Sindhi word. So Saraiki nationalists gave it's name Saraiki Ajrak. It is not same as Chader. Saraiki Ajrak has become very famous after creation. It is recognized in Saraiki Waseb in very quickly. Now it not only symbol of Saraiki culture but also become a part of life style. In politition activity and any public gathering, Celebrities must wear Saraiki Ajrak. It has unique design and color and also available at cloth shops. This word is call Chotki. Meaning of this word in English: ‌? 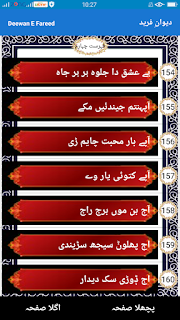 Saraiki language has five differents voices. These voices are it's own and these are embodied by five alphabits. In Roman Saraiki alphabits we can indent unique these Saraiki alphabits. Those alphabits, who has voicely comparison same Sindhy alphabits, you can see on their place with Roman Saraiki alphabits in blow table. In above table, some examples are given to write Roman Saraiki and Saraiki script. In this case, real reason of problem is common people are not aware or they have not any keyboard of PC, tabs and mobile devices to write Roman Saraiki. Therefore we look mistakes to write right method of written. We will also follow this method for save energy and time in next time.